Francesco Cian qualified from University of Padua (Italy) with a DVM in 2006 and spent the next 4 years in small animal practice. In 2010, he started a residency program in Clinical Pathology at the University of Cambridge, which he finished in 2013 attaining both an ECVCP and FRCPath diploma. Francesco joined the Animal Health Trust (AHT) in 2013 as Head of Clinical Pathology, and from September 2015 works for Battlab (LABOKLIN). Francesco has a special interest in lymphoproliferative disorders of dogs and cats and flow cytometry. He is a member of the cytology exam committee of the European College of Veterinary Clinical Pathology (ECVCP) and is author of several publications in peer-reviewed journals. 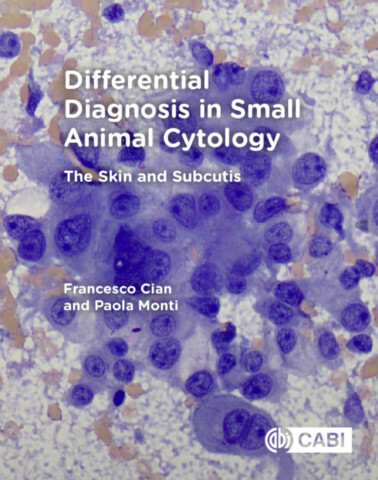 He co-authored with Paola Monti the cytology chapter of the third edition of the BSAVA Manual of Veterinary Clinical Pathology and is editor of the second edition of the book Veterinary Cytology: Dog, Cat, Horse and Cow: Self-Assessment Color Review.